This two bedroom/two bath condo is located just a few blocks north of the Santa Fe Plaza. 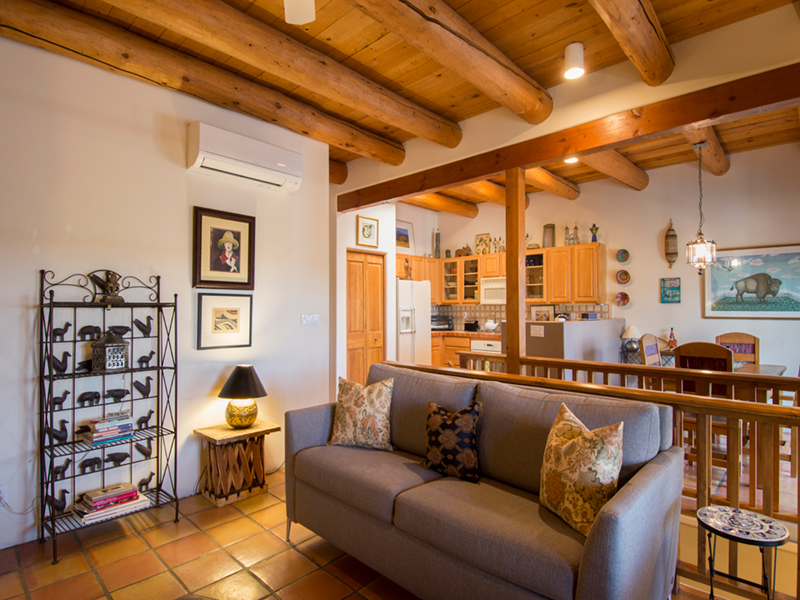 While there are a lot of condos for rent in Santa Fe, it is difficult to match the quality, comfort and location of this condo. 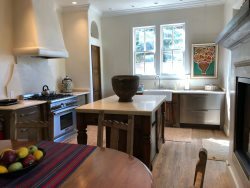 This property features tile floors, vigas, kiva fireplace and traditional Mexican tile in the bathrooms and kitchen. The main level is upstairs with a bright and open living, dining and kitchen. 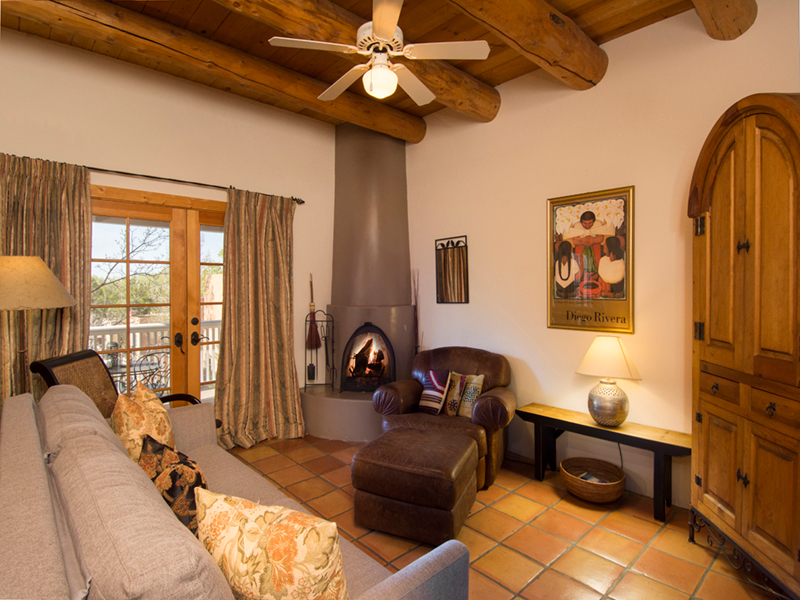 From the covered portal you can sit and enjoy your morning breakfast while delighting in the foothill views of Santa Fe! 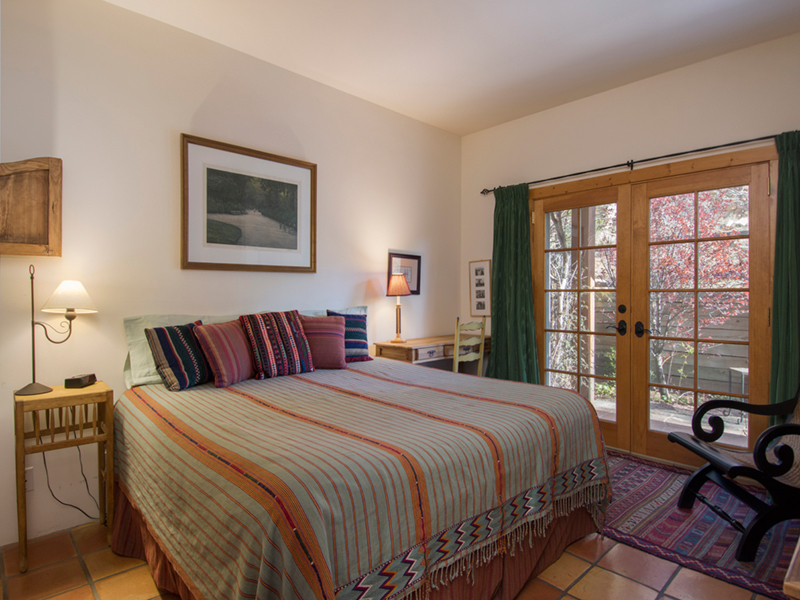 The master bedroom offers a king bed and full bath and a private patio to relax and read a book. The downstairs bedroom offers the second bedroom with queen bed and private full bath. This property has a single car garage and is non-smoking. No pets, please. Location is walkable to anywhere downtown. Shuttle makes Canyon Road close, too. Quiet and comfortable, good views and privacy, too. Completely comfortable beds and furniture, like your own home. Garage a nice feature, makes parking easy. We stay here every year! Terrific service, responsiveness, and results! Very beautiful, spacious and attractive unit. Thank you for sharing the property in such a beautiful locale. Close to downtown, yet quiet and residential.